Hello you beautiful bunch, welcome back to my blog! Today I have a beauty review for you of a very popular and much hyped product that hit the UK about 3 months ago now. I have been using it for around 6 weeks and thought I better share with my beauty loving readers exactly what I thought and my experience with it. 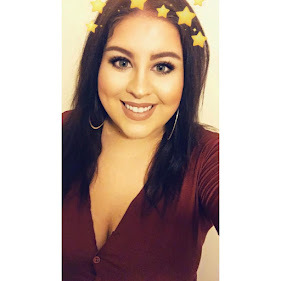 The product is the Urban Decay All Nighter liquid foundation and honestly, I have read several mixed reviews on it. Foundation is my all time favourite beauty product to purchase and for me is the most important element of a well finished face. I feel like if you have a really good base, the rest just follows suit. Urban Decay claims that this foundation is "full coverage with a modern matte finish" and I couldn't agree more. When applying this foundation it COMPLETELY covers everything, however in a sense that it's almost a mask. It's a very unnatural, doll face finish, so if you're looking for something that enhances your natural skin, this is not for you. If you are looking for a more dramatic finish, this foundation is perfect for you. It's super high coverage that I believe can compete with the likes of Estee Lauder Double Wear. I use 3 pumps per application and apply with a Real Techniques Miracle Complexion Sponge, this gives me a full face with a full coverage, super matte finish. Although I can't see you needing more, should you feel like you need to build more coverage, this is super easy to blend and won't react badly to your fave concealer. This has to be the most disappointing aspect of the product for me, on application this foundation is FLAWLESS but let me assure you, 3 hours later you will be reapplying to your t zones. I don't know whether this is just my skin or it's something everyone is experiencing with the foundation, but the flaky, powdery vibe that develops after about 3 hours wear on my nose and forehead, is not the one. I have combination to oily skin and perhaps this is why over the course of the day it becomes a problem. I moisturise but I don't prime with this foundation, could this be a priming issue? I don't know, but I do know that this could be enough for me to not buy this foundation again. All Nighter is really hydrating for a full coverage foundation which is another aspect about the formula that I really love about this foundation, and I haven't experienced any issues with my skin or any breakouts since using it. It is extremely easy to remove and doesn't drag across your skin in the process of removing it, another aspect that I really like about it. I ordered the foundation from the Debenhams website and basically took a lucky guess, although I am unevenly toned, yellow toned bases really work better for me than pink toned. I purchased this in 2.0 and it is almost perfect for my skin. I do have to make sure it is extremely well blended into my neck though, because if it isn't it's an absolute disaster leaving it looking extremely thick and nasty. #5 WILL I BUY IT AGAIN? I would probably buy this foundation again IF a primer could sort out the flaking issue I have with it on my nose and forehead, if I couldn't then most definitely not. 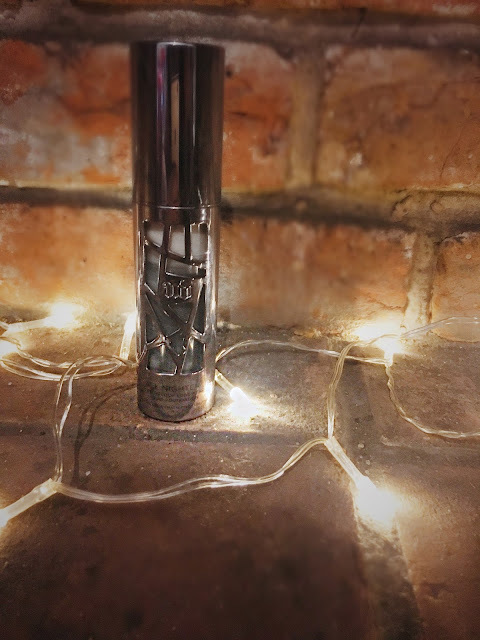 I love Urban Decay and all their products and I love the idea of this product in so many ways, the hydrating but super matte finish and the coverage is incomparable. Longevity is something I expect when I pay for a high end product, any high street product can be good when you first apply but I feel like you get what you're paying for when it wears off within 2 hours. I pay the extra for longevity and unfortunately this has been the disappointment of the entire product. #6 WHERE CAN YOU GET YOUR HANDS ON IT?